With a wide repertoire of classical and modern jazz songs, Standarts & Sanat Deliorman will be on the stage of Touché on April 19! Started by re-interpreting classical and modern jazz songs, the jazz band “Standards” continues their musical collaborations by giving concerts at leading jazz and art festivals together. 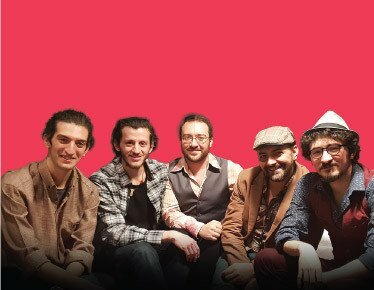 Founded by Çoşkun İnsel, who also plays keyboard & piano, will be accompanied by Siney Yılmaz on saxophone, Mertcan Bilgin on drums, the Consul General of Austria; Gerhard Lutz on bass, and Sanat Deliorman as vocalist on the stage. * 1 beverage or one snack is included in the price. - Organizer reserves the right to refund the amount payed and deny entrance to the participants not deemed suitable. - Zorlu PSM holds the right to change the terms of purchase for discounted tickets.